Mr Murphy said the shifting housing pattern - with major corporations buying vast numbers of homes as rents continue to soar - was good for tenants. 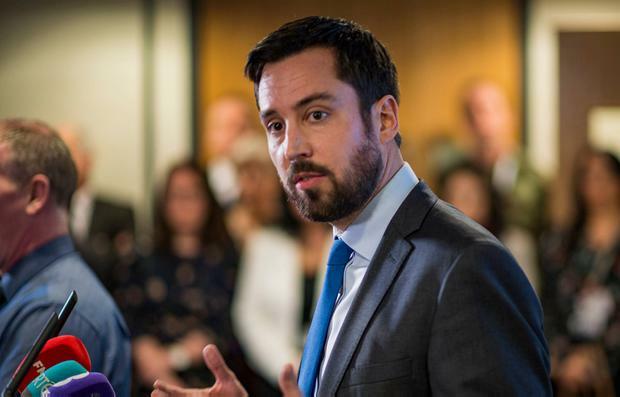 He told the Dáil tenants are afforded greater security and have their homes managed more professionally by institutional landlords compared to a person letting a one-off property. "It is important to recognise the positive effects that institutional investment can have in terms of supply," he added. "Historically, the private rental sector has been largely made up of small-scale landlords who will continue to provide private rental accommodation. "However, a more diverse sector which includes institutional investors specialised in providing and managing private residential accommodation on a larger scale provides additional stability and less exposure to property market risk and volatility. Institutional investors can also provide a range of tenancy options households need across their life-cycles. "The fact institutional investors are entering the rental market with a clear, long-term focus on their investment provides security for tenants who can be confident their landlord is committed in the long run." Recent research by Savills shows institutional investors spent more than €1.1bn on a record 2,923 Irish homes last year. Meanwhile, rents and the number of people living in rented accommodation continues to rise. Fianna Fáíl is to demand a review of how 'cuckoo funds' who buy up housing units for rent are taxed. The party believes the Government has been blind to the growing trend of big corporations "distorting the market". Housing spokesman Darragh O'Brien said many companies paid "effectively no tax" while securing homes that should be available for first-time buyers.